Playing chess online is fine, but it can’t compare to a game on a real board. And neither of those things can stand against Square Off’s smart chess board, where the pieces move all on their own. This app-connected, rechargeable smart chess board is powered by advanced robotics, allowing you to play against an opponent anywhere in the world via a Chess.com integration or the board’s own AI, and with a rosewood finish, it doesn’t look half bad either. And now, thanks to an exclusive deal, you can save 15% on Square Off’s Kingdom Set or the extra souped-up Grand Kingdom Set. 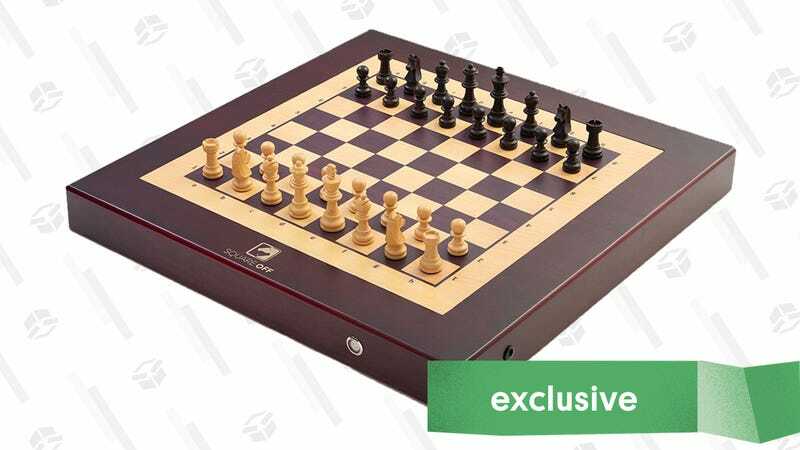 Just use promo code KINJADEALS15 at checkmate — I mean, checkout.